Along the Maine coast, the distinctive lobster boat is ubiquitous, and fisherman devote nearly as much time and effort naming their boats as their children. 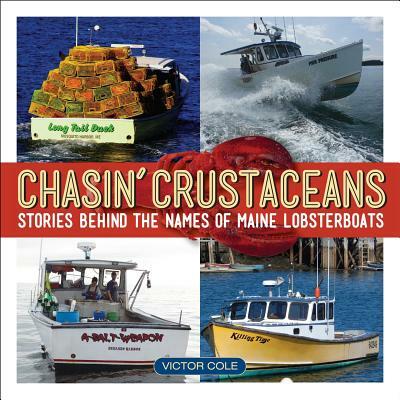 In this charming little volume, Victor Cole has reached out to hundreds of lobstermen and collected the stories behind the names of their boats. Some of the names are of children, or of loved ones who've passed on; some are religious or inspirational, and some are downright funny. But the stories behind them are all interesting and reveal something about Maine's fishing culture. Victor Cole became hooked on lobstering at the age of seven, when he fished with his dad out of skiffs and pulled wooden traps by hand. His career, however, took a turn as he went into public service. He started as a firefighter, then became an EMT and a police officer; followed by eighteen years the Maine Marine Patrol. Deciding eleven years ago that life was too short not to follow his dream, he took up lobstering full time. Victor lives in Tenants Harbor and fishes 800 lobster traps.